The fib ICCS20 will take place from 16 to 18 September 2020 in Prague. 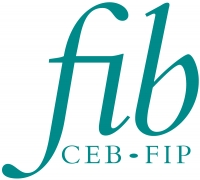 The RILEM-fib X International Symposium on Fibre Reinforced Concrete BEFIB 2020 will take place from 21-23 September in Valencia, Spain. The 2021 fib Symposium will take place from 14 to 16 June 2021 in Lisbon, Portugal. The next fib International Congress will take place from 5 to 9 June 2022 in Oslo, Norway.